Are you sick of prospecting friends and family, doing home meetings, prospecting strangers, or being accused of doing some “pyramid thing”…? Are you tired of the constant rejection and frustration? Maybe you just want to learn how to start network marketing business online if the old school methods and driving all over the place to get to meetings is eating into your family time? Then you’re ready to build your network marketing business online, the right way. With so much information out there you might struggle to get started? Like many, I started network marketing the traditional way, mainly face to face and it was hard. It’s a great way to build up your key skills, sure it was hard and most importantly, people joining your team don’t like doing things that are arduous and don’t work. After years of coaching and searching for a better way and I found websites of people who built their network marketing empire almost completely online. This began my journey into Online Network Marketing. I was saved. Firstly, the benefits are MASSIVE! You don’t need to drive long hours, your startup costs are low, and your business works for you 24/7—without calling people on the phone! The best part is that you need not be an online geek or good with computers to get started. First point on mindset: why are you going to the internet? MOST people go to the internet thinking, “I’ve been trying this offline but I just don’t like talking to people. I will try online.” So they go to the internet out of weakness. They DON’T master their listening skills, recruiting skills, and their closing skills. Yet, these are critical skills that are required to be successful in network marketing. Here’s the truth. 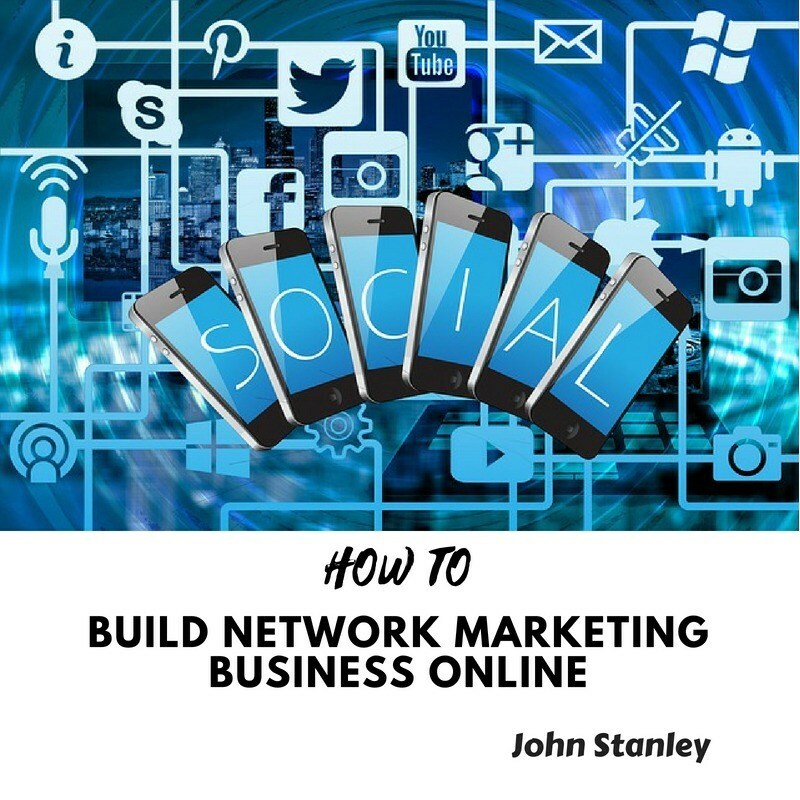 You can build a network marketing business online or offline. You can’t do it without talking to people on a call. If you are someone that’s wondering, “How do I build a huge team and never have to talk to anyone?”, then you’re not looking for network marketing. You may be looking for affiliate marketing, possibly selling products, drop shipping, or having an online store selling stuff, or something like that. If you just don’t like talking to other people or if you don’t want to spend time with people, then network marketing isn’t your pathway. Now, if you’re shy or nervous, if you’re an introvert you can always improve that. There are heaps of introverted or shy people who’ve created massive success in network marketing. It’s a powerful story to overcome these self-doubts. So you still need to learn how to talk to people to grow your business online. Second point is to visualise. Key book Think and Grow Rich will help you here. See yourself as recruiting and duplicating online. Think about how you will use online to grow your business starting on Social Media. Later this can include a website and a blog. There will be days when you don’t feel like it. But always remember…WHY are you doing this? Third point is expectations for the journey online. There are many different thoughts and attitudes as far as personal development and mindset goes. But let me get practical here. Firstly, you should expect the unknown. Here I mean, you need to be present and respect the journey. Know you will not learn everything you need in one sitting or one shortcut, it’s a process. So I break this it up into this post “Getting Started” and “Going Professional”. When you go online, you’re learning a whole new skill set. Almost a new profession! and there is a learning curve. You’ve been learning “how to do” your Network Marketing company right? Well consider it like learning a new profession on top of that. You go to school or higher education for four years right?. Thank goodness, we will not have you do that, and we want to do it much quicker than four years. However, if there was a school of building a business online, it would probably take a few months part-time to get through all the coursework. So be prepared for a learning curve. Don’t try to learn everything at once. Just focus on what’s in front of you. Back onto mindset…It helps if you get comfortable with not knowing what’s ahead. There’s always going to be changes in social media or a new technology that you don’t know about, and new skills that you have to acquire. Have you heard in Network Marketing, that it “doesn’t matter what works, it is what duplicates”?. From experience, I can see the truth in this. That’s why I break it up into two phases, here “Getting Started” focusing on Social Media only, and then “Going Professional” which is a comprehensive solution. Why? Because focusing initially ONLY on Social Media to build your business online is simple, it works and more importantly, it duplicates. Like any skill and any pathway to success, it does require consistent and focused effort. Master the unknown for you expectations in going online and focus, master and implement Social Media first. Those three things are important to understand, but now you can be prepared. You need an implementation game plan. 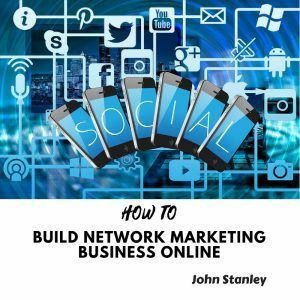 And there are really two different ways that you can build your network marketing business online using social media. You can get started doing this right away. With recruiting on social media actively, you really don’t have to learn much of anything new. To get started, all you need is a personal account on Facebook. Why Facebook?…with over 2 Billion monthly active users it is the biggest social media platform now by far, so the best place to start. So just your Facebook account, no website required, and some sort of process (perhaps from your upline or someone in your company) on how to present your opportunity and convert prospects into either customers or new distributors. Would you like to learn how to make money online using Facebook? So you only need to know where to take them, and how to process them. 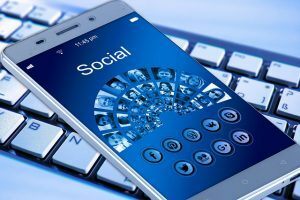 You can start doing these social media recruiting strategies now to build your network marketing business. In fact, this strategy is basically the same as what you’d do offline, except you’re changing the process to simply be online. Look, it can produce results (and it can produce massive results), and you can duplicate it quickly with your team, but it takes a demanding amount of time. 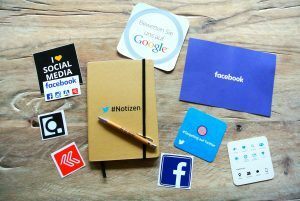 That’s why most people will move beyond simple active social media recruiting, because they want to create more leverage in their business and to really get their time and their life back. And that’s what I’ve been teaching my team for years..
Social media recruiting – Passively! This is about posting valuable content or information that encourages people to reach out to you and ask you what you’re doing or for more information about your products or company. I don’t know about you, but I always prefer to start the conversation with somebody when they’re curious and reaching out. They are curious and coming to you—instead of the other way around. So you become the hunted (meaning ‘attractive’), not the hunter. Then you’re able to create leverage and scale and have tonnes of time! All the things you normally would do with social media you’re now able to expand and explode your results. For this you need a Blueprint, a way of turning your networking business into a HOME business (i.e. build while at home) by using the power of the internet. The good news is it doesn’t involve listening to many webinars and courses and spending hours to learn like I did. I was where you are, unsure of how to build my business using Facebook and social media. From all I’ve learned and applied to my own success, I’ve summarised and distilled into this easy to follow and implement guide. Then by the time you get on the phone, they’re 90% sold! 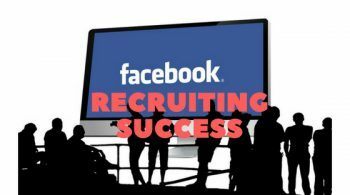 That’s what a the power of Facebook recruiting passively can achieve with the right Blueprint. Check out Facebook Magic Formula to learn more. Would you like your team to also learn how to make money online using Facebook? 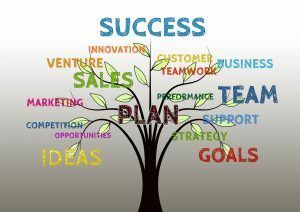 You can then duplicate success with team members to grow their business and your expanding empire. No more suffering, chasing, pestering and cold calling insanity. Facebook Magic Formula is the solution to the biggest problem every network marketer has..how and where to consistently find people and recruit..and do WITHOUT the resistance or rejection and from the COMFORT of your own home. 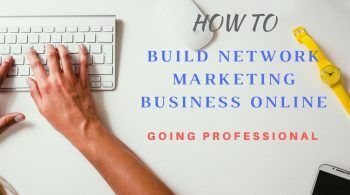 6 replies to "HOW TO Build Network Marketing Business Online – Getting Started"
Great article, really like the part where you emphasize the no shortcut to the process. Especially in today’s world people want everything to happen instantly and have no patience during their journey. Im not the phone or face to face type person myself and have found Facebook to be such a easy and preferable method of generating leads for me and my business. Also very interested in checking out the book. Very informative article. To be completely honest, I really never understood how a shy and timid person can actually build a networking or marketing business. I mean, let’s face it, building a network involves talking to people. After all it’s about recruiting people to join your team. One more thing, all businesses involve selling something, whether it’s your own product or other people’s product. I am not good at selling products, how much more recruiting people. That’s why I never joined any MLM or networking groups. But with the internet, I think it’s a lot easier because you just have to engage the right audience. The problem is, I do not know how. Although Facebook Magic Formula sounds like the “real deal,” I’m a little skeptical because there are so many online programs and platforms out there that are promising success with little effort but will leave you disappointed. So I will be heading to your post on Facebook Magic Formula hoping that it’s something worth trying. I’m just curious, how is your experience so far with Facebook Magic Formula? Was it everything you had hoped for? Were you able to start your own online business by applying it? Thank you Alice for your honest feedback. Yes network marketing is all about building relationships and adding value to people. As I say in the article “If you are someone that’s wondering, “How do I build a huge team and never have to talk to anyone?”, then you’re not looking for network marketing. You may be looking for affiliate marketing,”. So if a person doesn’t like talking to people and building relationships then it seems Affiliate Marketing could be more suitable for that person. Building relationships and adding value to people is the approach and philosophy I adopt – to add value to people first. That’s also what I reflect in by Facebook Magic Formula eBook and bonuses. It leverages the huge social media platform fo Facebook to build those relationships. Yes I have had success applying it and will continue to do so. 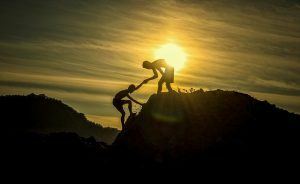 Hi John, this article is very helpful for me, it is informative, since i am just starting in this new-found business.. You gave me a reason to stay on, persevere, and just be on that mindset that there are people who is going to listen and believe in you. Thanks for the article, and thank you for creating this website. 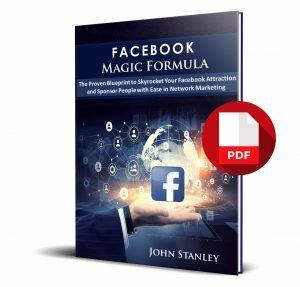 I think i am going to look into your Facebook Magic Formula eBook one of these days. More power to you! Thank you Hanna for your feedback. I’m glad it helped you.